You’ve probably heard of Proactiv since this company obviously pays top dollar for celebrity endorsements and prime advertising. Katy Perry, Avril Lavigne, Alicia Keys, and even Justin Bieber, Seventeen Magazine and Teen Vogue…these are just a few of the endorsements. Does this mean that Proactiv spends more money on advertising than on effective ingredients, or is it actually that good? 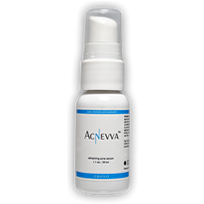 Proactiv is the best-selling and most popular acne treatment system in North America. But let’s get down to what really matters – the real question is does it work? Renewing Cleanser – You are supposed to use the cleanser twice a day – once in the morning, and one time before you go to bed. Apply a small amount, rinse with warm water and you’re done. You’ll feel how soothing it is for oily skin almost immediately. Revitalizing Toner – This toner is designed to be applied to your face after each washing. 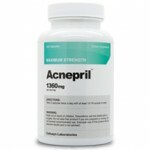 It’s effective in dealing with oily skin and helps to tighten your pores. It goes on clear and you can leave it on for all-day protection without the need to rinse. Repairing Treatment – This topical cream contains active ingredients that serve as a spot treatment and a preventative measure to prevent future outbreaks. It’s recommended that you use this twice daily, but modify use if you find your skin getting a bit too dry. The active ingredient is Benzoyl Peroxide and you definitely don’t want to apply more than necessary. 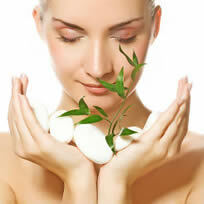 Proactiv’s philosophy – this a company that knows the ins and outs of fighting acne. There is a mental component and it can be emotionally draining when you don’t get results. Proactiv takes pride in being able to help people to solve such a potentially devastating situation. When you play an active role and take steps to do something about the problem, good things can happen – especially when you use a quality product that works for so many people. Sometimes being willing to try a new product can be the first hurdle to conquer. I actually love Proactive! I have had acne problems for the past 8 years or so…I used Accutane, and while that did make a DRAMATIC difference, I still had occasional breakouts. Proactive has cleared my skin completely! I can definitely tell when I go a few days without using it. Its a life saver! NEVER BUY PROACTIVE!! They will keep charging your account even if you do NOT order! BS! been using proactiv awhile not really thrilled with it. If i do get a blackhead the proactiv dry it up fast but my face still gets red and still some breadkouts. Gonna give the extra strength a try before i give. Probably wouldnt recommend. Proactve is a phony product, a well disguised scam. The only component that does some good is the “mask” which temporarily covers up the lesions, until it is washed or rubbed away. Showing that the acne and the scars are still present. Their never ending false advertisements completes the fraud. Need to be investigated by authorities. They buy testimonials for a few dollars, and feel safe and secure from investigation by consumer protecting agencies. i tried proactiv a few years back and it never worked for me, so i stopped using it. then just recently, i started using it again because they got a different formula. it still doesn’t work for me and if i use the extra strength formula, it makes my skin really dry. i wouldn’t recommend it to anyone. Proctive made my skin feels very dry and icthy. i have tried proactiv and i works just fine for me. the toner is very gentle and feels cool to my skin. i did have break out the first time i used it and the cleaners is a little abravise. other then that it work fine.ok.